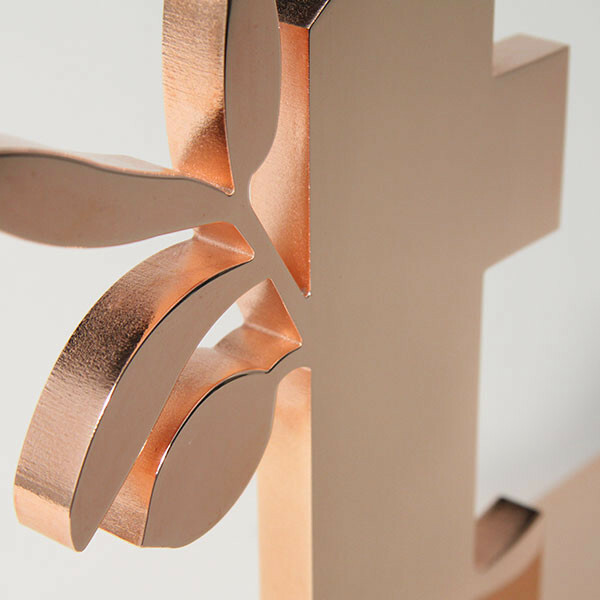 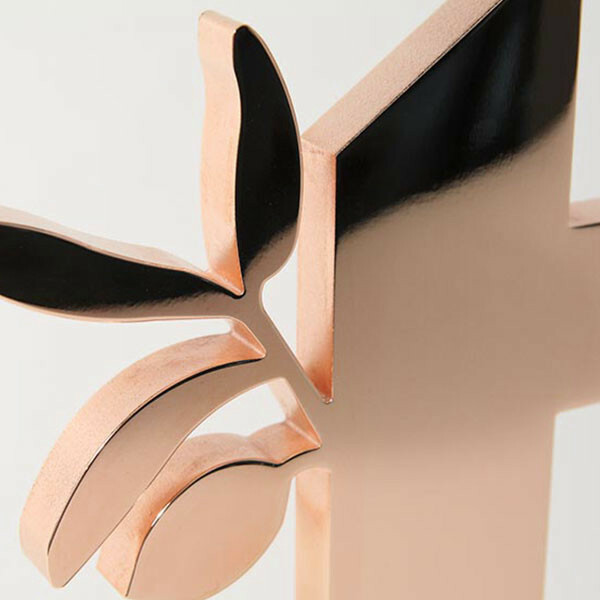 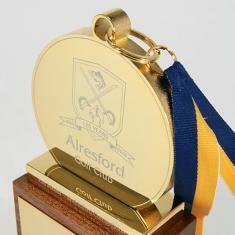 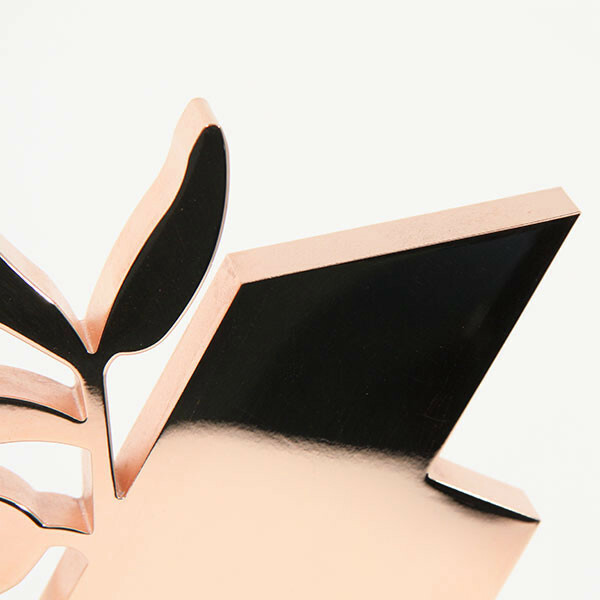 Polished rose gold plated aluminium bespoke award with pierced detail. 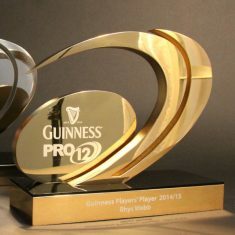 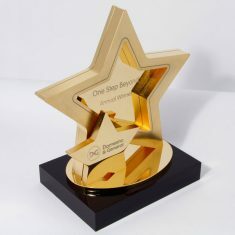 Each award is personalised by laser engraving on the top of the base. 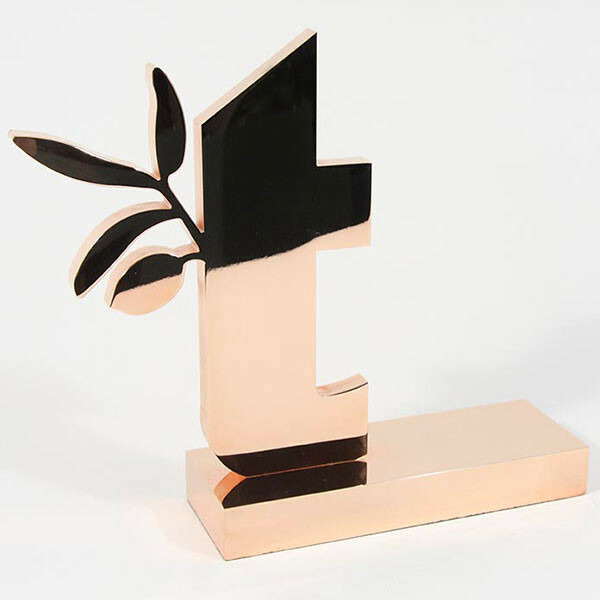 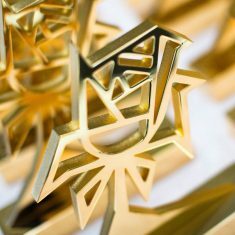 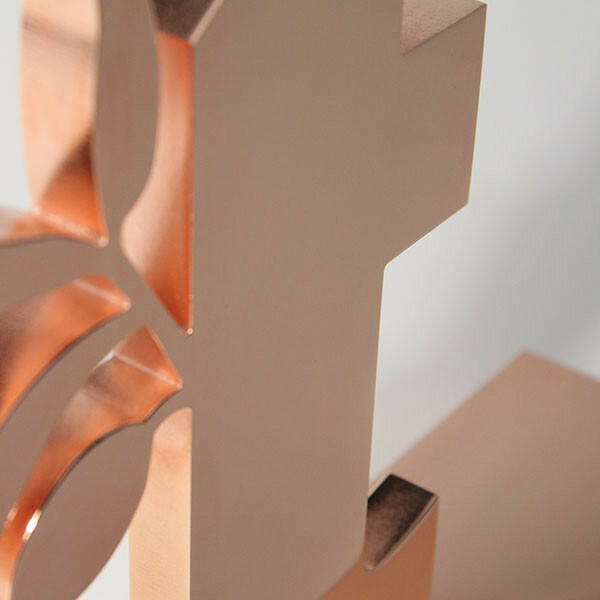 This is part of a family of 4 awards, designed to celebrate different levels of achievement.